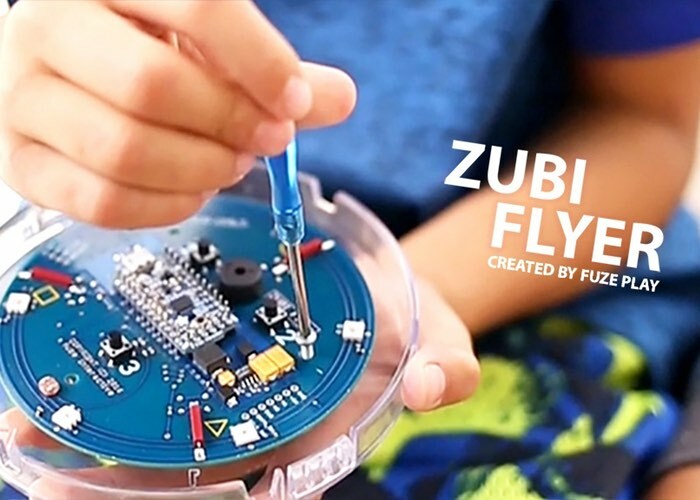 Kristy Sevy and Kyle Muir have created a new hackable toy in the form of the Zubi Flyer which has been designed to provide an easy way to teach coding in a fun and simple way. The new hackable Toy has been launched by Kickstarter with the aim of raising $50,000 over the next 30 days, check out the video below to learn more about this unique educational toy. – Intro Course 1 – How to make your Zubi make sounds! – Intro Course 2 – How to make your Zubi light up! – Intro Course 3 – How to make your Zubi’s reed switches and buttons work with the lights and buzzer! For more information on the new Zubi Flyer jump over to the Kickstarter website for details by following the link below.